Photograph courtesy of the Bureau of Reclamation. 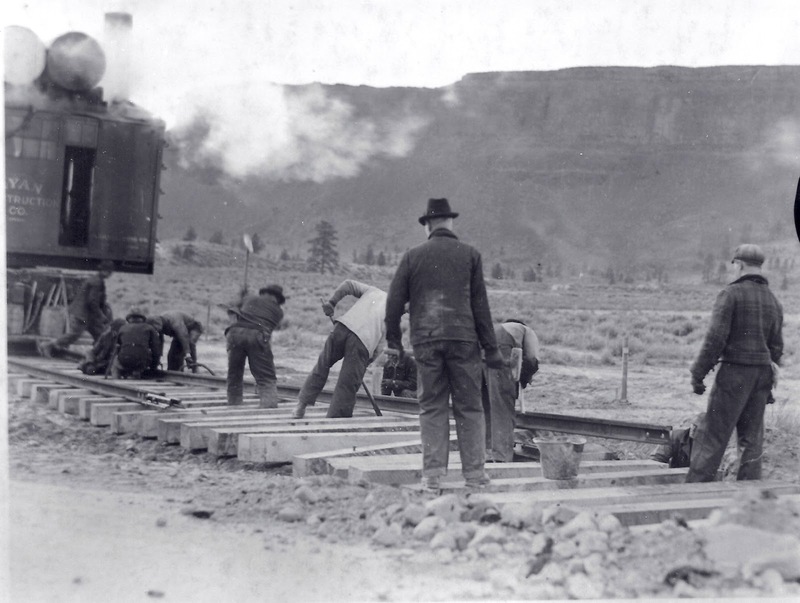 The Ryan Construction Company was the winning bidder for the construction of the railroad line in 1934. They had a small crew of men out in the coulee laying rail with a crane. Note that the ties are untreated, probably to reduce cost knowing that they would not need to be in place for 30 years.